How nice would it be if Jose Mourinho’s midlife crisis continued into this season and he flopped with Manchester United like he did with Chelsea last term…? With the Portuguese leaving Chelsea early and Jurgen Klopp taking over at Liverpool, we forgot about Mourinho in 2015/16 – but he’s back with a seemingly even sharper tongue and a bigger bag full of hypocrisies. “If you bring one player in for £100m and he gets injured, then it all goes through the chimney,” Klopp had said. “The day that this is football, I’m not in a job anymore, because the game is about playing together. “You are right, he (Klopp) was one of them (who had spoken) but I don’t comment,” he told MUTV (cited by the Echo). “He made comments about us but I don’t comment about him. Or about his club. “I heard already two of my colleagues from other clubs speaking about us. I do not like that. It is not ethical. There are things that when I do (them) are not ethical, and when others do it everything is normal. “All that matters is what happens in my house, not in my neighbours’ house. “I understand that, sometimes in football, things happen and the club breaks the record, but this is only possible at clubs like Man United. Are we surprised? Of course not. 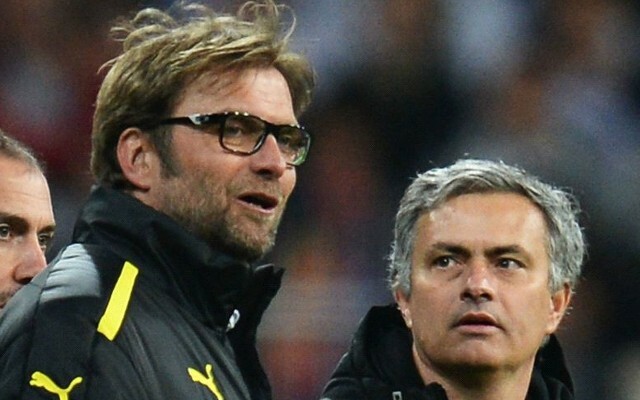 Mourinho’s made a career out of riling other managers – but we’re certain Klopp won’t be affected like some of the Premier League’s other managers. We’re not sure what absurd claim Mourinho will base his title pursuit on this time… Under billionaire owner Roman Abramovich he tried to pretend Chelsea were underdogs and that other sides were trying to buy the title, but after bringing in Pogba, Zlatan Ibrahimovic, Henrikh Mkhitaryan and Eric Bailly for an offensive amount of money, he’ll have to change his tune.